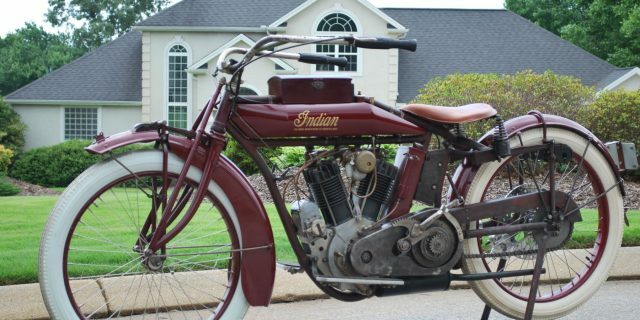 This is my beautiful 1000 cc , 3 speed C-3 Big Chief that I rode in the “original Cannonball” Lonnie Isam Jr. 2010 event. This is very original bike and a strong running bike. Most of the plating is original as well as the paint on the chassis. Fenders and tank have been repainted. 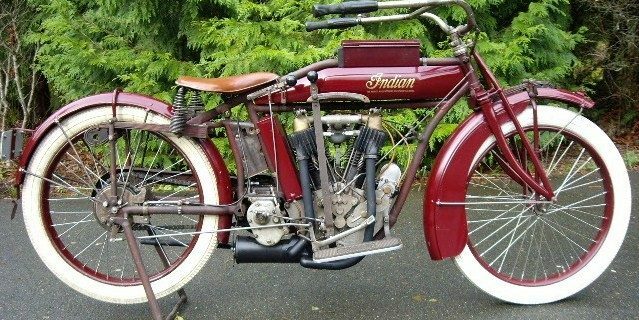 The carburetor on the bike is not original but I do have the original and it goes with the bike – It is in great shape and ready to use. It’s currently equipped with the white “show” tires – a set of black are also available with the bike. The bike was rebuilt before the Cannonball with powerplus rods and steel flywheels. The main problem on the Cannonball run related to the valve intake dome. It was a common problem with this engine design. The problem continued by replacing the part with another almost 95 year old part. Metal fatigue with hairline cracks. No one I know of has reproduced this piece. We were able to find a machine shop that was able to rebuild the dome and solve the problem. They have been on the bike since and it has performed perfectly. I keep a spare rebuilt set as well. This bike has been in several publications and was on the cover of the 2011 AMCA calendar. 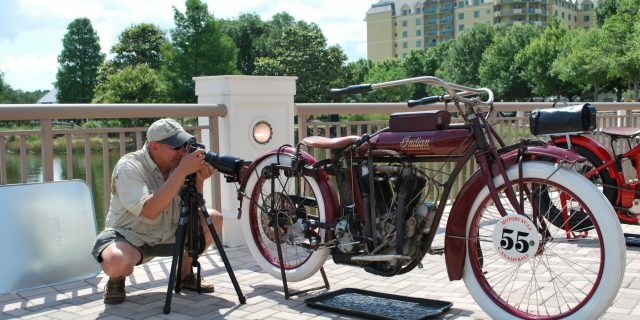 Several good photos of it along with the story of the ride in Cris Sommer Simmons : The American Motorcycle Girls Cannonball Diary. Rear disk brake – which will save your life if you really ride this bike is easily bolted on and off and replaced with the original brake.